Ensuring that all children traumatized by exposure to adverse experiences succeed in school is our dream and the dream of many. So how do we get there? Making trauma sensitivity a regular part of how our nation’s schools are run will require everyone – parents, educators, administrators, behavioral health providers, advocates, and more – working, learning, and advocating together. TLPI focuses first on learning from some of our most vulnerable families and their children about what students need; we do this through representing families in our Harvard Law Clinic. We also work directly in schools to learn what they require to address the students’ needs. We bring what we learn together with up-to-date research to produce publications, and we work across disciplines and with parents to create a collaborative advocacy agenda. All of this growing knowledge informs our advocacy at the policy levels. We invite everyone to participate in this process. Below we describe in greater detail some of our work at each of these levels. At our Harvard Education Law Clinic, we have represented over 200 families of students with disabilities, where traumatic experiences may be playing into a child’s struggles. We have worked with schools and experts to learn how and when to put the issue of trauma on the table when addressing the needs of an individual child. We also work collaboratively with numerous coalitions representing families to make sure we keep the perspective of families and students at the forefront – and in our hearts – at all times. We work directly in schools to learn how good leaders and their staff make trauma sensitivity a key part of how they run schools. When the Massachusetts Legislature passed what has been called the “Trauma Sensitive Schools” grant program in 2000 we had the opportunity to work with grantee schools to develop the Trauma Lens and the Flexible Framework together. In the last five years we have partnered with Lesley University as it develops a graduate level certificate on trauma sensitivity, bringing us even deeper into schools as they create action plans that identify urgent local priorities and tailor solutions that can lead to trauma sensitivity. Too often lawmaking in education is focused on fragmented solutions – a program to address bullying, a requirement to evaluate teachers based on standardized test scores. Prescriptive and narrow approaches often only lead to more fragmentation because they do not address the larger issue of school culture, the teamwork required for collaboration, and the need for proactive strategies and for deeper understanding and planning to address complex goals. Our laws need to assist schools to engage in the kind of learning, inquiry and evaluation that is necessary for school-wide trauma-sensitivity. 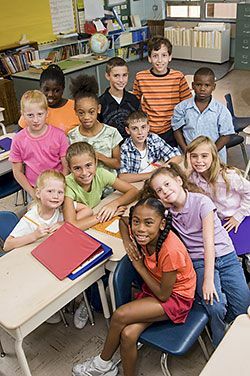 In Massachusetts, the Flexible Framework has been incorporated into several laws in an effort to help schools align all of their initiatives and create the foundation for educating all students, most recently the Safe and Supportive Schools law that is highlighted in the section on Advocating for Trauma Sensitive Schools. But there is much work to do both to implement this law in Massachusetts and to spread whole school trauma sensitivity across our nation. All of our voices – educators, students, parents, administrators, and advocates — are needed to ensure schools have the support to put the issue of trauma sensitivity on the front burner of education reform.